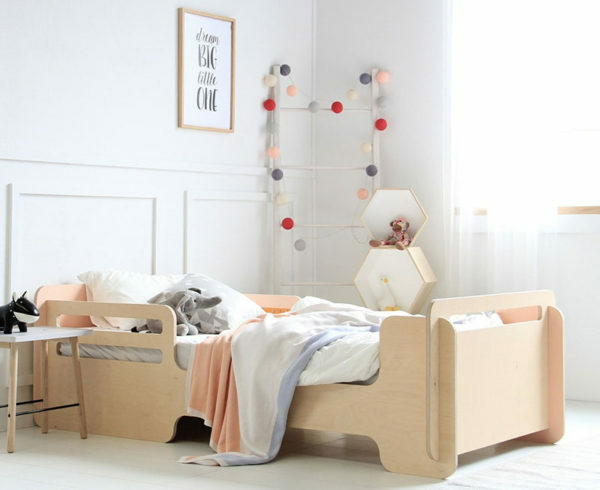 If it’s time for your child to make the transitional leap from cot to a big bed, we’ve got your back. Or your bed as it turns out. When choosing which bed is right for your little person, be sure to check out a handful of our favourites first! Fitting together like a puzzle, the clever design of the Knect4 bed is to be commended. Easily assembled, the low height makes for safe clambering in and out and the side rails add security and make for a cosy sleep – no bodies or pillows falling out! Available from MuBu Home, $899. 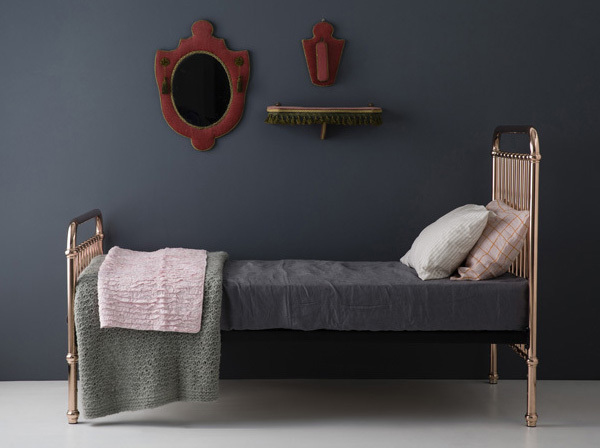 My rose gold obsession knows no bounds and with that disclaimer aside, Incy Interiors gets my tick of approval for their Eden Bed, $699. A timeless design in bold metal with soft rounded edges had me hooked at first glance and adjustable mattress heights are a dream come true. 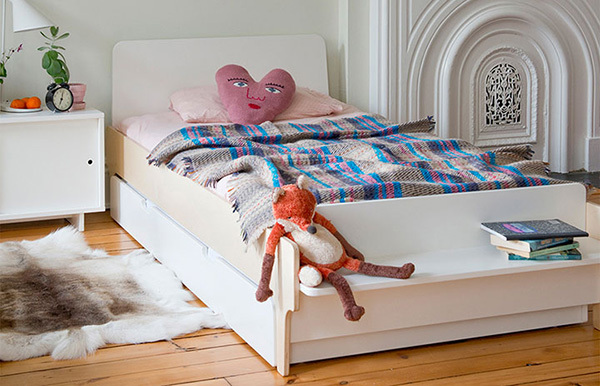 For contemporary cool, Oeuf has a bed to suit everyone’s style. With room for a trundle underneath, a bench to store much-loved bedtime books or treasures, the River single bed has it all. Find it at Kido, $1099. For a budget-friendly option, the Frankie bed frame from Domayne is a fantastic buy. 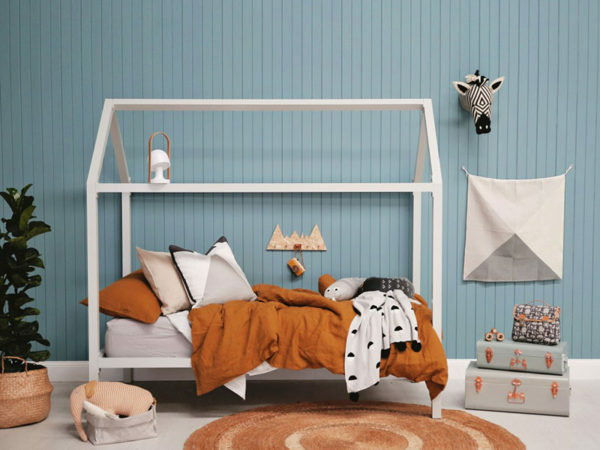 Scandi inspired, its streamlined design complements modern kids’ decor and bedrooms. Available from Domayne stores, $499. The Addison bed promises lots of fun! A house-like frame which easily morphs from sleeping space to a fort, you can customise it to your space with several colours to choose from and it also has a ‘bed legs or no bed legs’ option too, which is fantastic for toddlers. Priced from $699.95, order from This Little Love. A bed fit for royalty, the Amore bed is nothing short of divine. 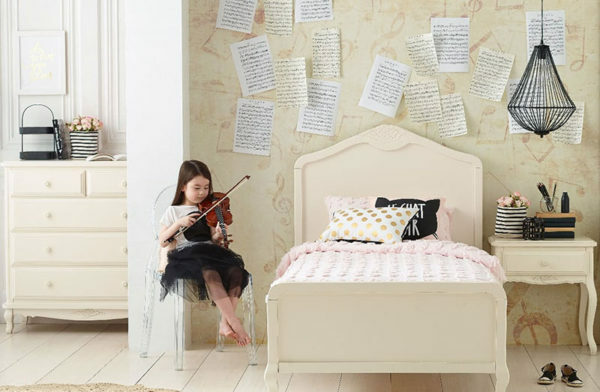 Available in black and white, its grand European-inspired design and curved legs are perfect for your little prince or princess. Priced $799, you’ll find it at Domayne stores. Rounding out our single bed favourites list is this upholstered beauty from Peoni Home. 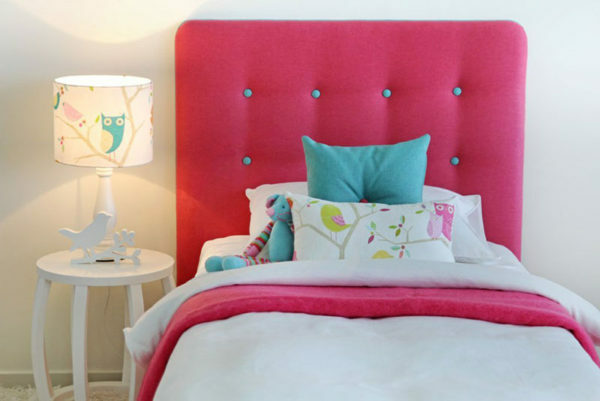 Technically speaking, it’s a headboard only, but it’s a brilliantly colourful way to jazz up an ensemble. Customise the look by picking your own colours for the main fabric as well as piping and buttons. Lola Bedhead, priced $520 is available direct from Peoni Home.